In my previous article on gaming laptops, I explored Best Gaming laptops from Samsung, this time I am focusing on Toshiba gaming machines. Many awesome gaming ultrabooks are going to strike the market very soon. Many laptop manufacturers unveiled their amazing gaming laptops. Toshiba is one of them which announced two remarkable gaming laptops equipped with all gaming features one expects from the latest gaming computer. A perfect gaming laptop features crispy and sharp display screen and touch screen ability adding more flavor to it and providing ultimate gaming experience to a gamer and the Windows 8 upgrade capability to Windows 7 OS computer can be added advantage for users. In the expensive Gaming laptops list from Toshiba, first I am describing about 15.6-inches Toshiba Satellite P850 gaming laptop priced around £600 operating on Windows 7 and powered by quad core i7 processing capability. And my second pick is 17.3-inches large display Toshiba Laptops Qosmio X870 gaming laptop also with Windows 7 operating system and the 3rd generation Intel Core i7-3610QM processor running at 2.3 GHz. Toshiba also added its name in Windows 8 products manufacturers' segment by announcing a number of Best Windows 8 laptops from Toshiba during IFA 2012, most recently. One of the Satellite model from Toshiba with P series named – P850 with the price range of £600 has recently been unveiled. The laptop is built to operate on windows 7 platform with eligibility to upgradable to Windows 8, powered up by quad core i7 processor and best connectivity options. Let us have a look over specification and reviews of Satellite Windows 7 laptop. Toshiba recently uncovered 15.6-inches Satellite P850 laptop with 1366 x 768 pixels of resolution and Full HD TruBrite LED Backlit plus 16:9 aspect ratio supporting up to 720p contents is one of the best gaming gifts from Toshiba. The Toshiba P850 laptop runs 64 bit Genuine Windows 7 Home Premium OS SP1 upgradable to Windows 8 Operating System with some date limitation and empowering quad- Core i7-3610 QM processor with 8 GB RAM (DDR3 1600 MHz) with 750 GB Serial ATA Hard disk (Sec 5400 rpm) with a NVidia GeForce GT 630M dedicated graphics card. For internet connectivity, this Windows 7 laptop supports 4 USB 3.0 ports, Wi-Fi (802.11 n/g/b), Ethernet (10/100/1000), VGA, Bluetooth 4.0, Full HD Webcam and Face Recognition with 2 megapixel (1080p Video resolution), 3.5mm line in/ microphone, 3.5 mm headphone, WiDi, keyboard backlit, 2 speakers, Harman Kardon), audio brand (SRS Premium Sound 3D, RGB and HDMI port output. The Toshiba P850 machine comes loaded with 6 Cell Li-ion batteries (4400MAh) that provides backup up to 7 hours. Satellite P950 machine equipped with attractive features & applications such as DVD SuperMulti, Eco button (reduces power consumption in idle mode by up to 25%), Pointing device Trackpad, Blu-ray ROM drives, Blu-ray movies, supporting HD video chat and even converts standard movies HD quality with Toshiba resolution+. Toshiba set the price of Satellite P850 laptop at £600. Better connectivity ports, Windows 8 upgrade, best graphics features, 8GB of RAM and better performance. The Satellite P850 laptop keyboard feels cramped and chunky screen bezel and Also comes with bloatware installed. Toshiba Qosmio X870 is very strong configuration machine and well suits to the say that Qosmino series known for high-end hardware laptops. The laptop runs Windows 7 upgradable to Windows 8 OS and has 3D-capable NVIDIA GeForce GTX 670M graphics chip. The machine is now available in Indian market also. The Toshiba device is dimensioned to 148x272x43mm and has dark grey aluminum lid with a red glowing Qosmio logo at the center of the lid and there are 2 quick buttons over machine for power and 3D features. The Toshiba Qosmio series machine is handy with weighs to 3.42kg laptop and lightest among such configuration gaming laptops. The Dell's Alienware M17X Gaming Laptops is 4kg in weight while Asus G75VW weights to 4.5 kg sufficient to clear above statement. The Qosmio X870 machine from Toshiba features large 17.3-inches display with 1,366x768 pixels resolution of screen so, takes on your desktop for replacement. The Toshiba X870 gaming laptop is built to run on Windows 7 Home Premium (64-bit) operating platform and empowers 2.3GHz Intel Core i7 Processor (i7-3610QM processor) which runs at the speed of 2.3GHz with NVIDIA GeForce GTX670M (3GBGDDR5) and large 16GB of RAM (1600MHz DDR3) plus 750GB hybrid HDD (7200rpm) with Nvidia 3D Vision 2. The Toshiba machine also sports stereo speakers, VGA plus And HDMI video display ports, headphone/microphone jack with a blue ray rewritable drive. For complete gaming entertainment, the laptop is packed with subwoofers capable to reproduce audio tracks and crystal clarity even at the highest volume. In addition, the X870 laptop machines has SD Card reader for data transfer, USB 3.0 and Gigabite Ethernet 802.11n, Bluetooth facility for wireless file transfer and Wi-Fi for wireless internet connectivity. In the list of 3rd party software, the Norton Internet Security, Skype and Corel Digital Studio come preloaded onto the laptop machine. Continuous gaming definitely consumes all onboard resources on laptop, resulting consumes more battery. Qosmio X870 laptop battery lasts only 1 hour and 33 minutes with disable Wi-Fi as well as muted audio considerably very low. The Toshiba Qosmio X870 laptop comes with one-year warranty for parts, regional, carry-in and even labor warranty. Not only this, a customer can even customize his system warranty plan - including accidental damage as well as recovery services also. The price for Qosmio X870 gaming laptop is set at Rs. $3,699 from Toshiba. The Toshiba device Supports Full HD, light weight; highly portable with gaming-class hardware and 3D-capable display. - The major drawback of the system is its poor battery backup. - Performance takes a hit when 3D features enabled on the machine. - No SSD upgrade option. The recently released Toshiba Satellite U840W is the first ultrabook with a theater-like 21:9 aspect ratio. Read this hands-own review to know more about this ultrabook. 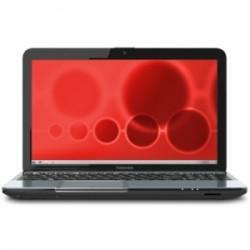 Toshiba Satellite L740, a budget laptop is worth a buy. Read this review to know about performance, features and hardware specifications. 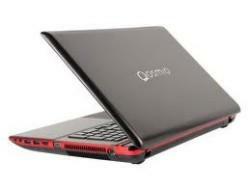 Find here excellent review on Qosmio X870 laptop with its specs detail, also got Toshiba's P850 specs and review. Totally, this article helps me to get two products specs and reviews, great work.